Fortune telling by date of birth – does it work? by nine 15/12/2017 10/03/2019 Leave a Comment on Fortune telling by date of birth – does it work? Have you ever thought that your future could be written already? What do you think about palm reading, tarot cards or fortune telling by date of birth? In South Korea there are many places to go to get your fortune told. 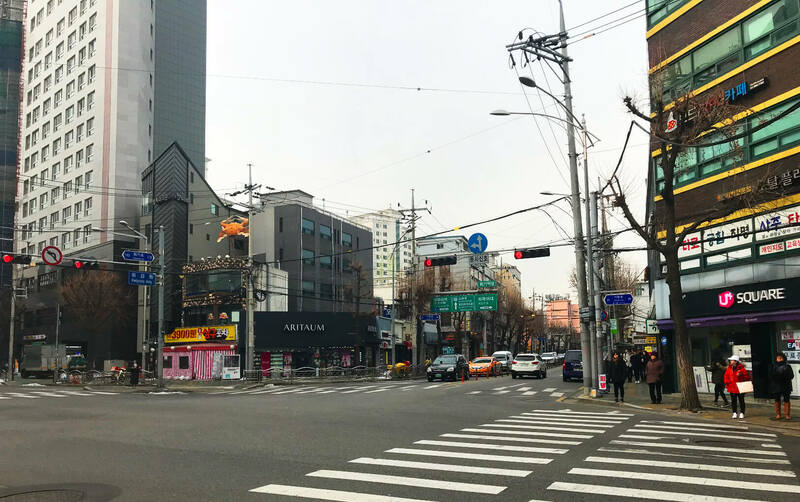 I was quite curious during my exchange in Seoul so I went with my friends Seul Ki and Mary to see how it is. Summary: I could say that some of the things were right in my fortune for 2018 but some were quite off. What do I think of it afterwards? I think it is a really fun and interesting experience but nothing to take too seriousely (like how I see horoscopes). Read this post to learn more. What was the atmosphere like? It was like a normal shop with tables and no peculiar interior. So all the ideas of a fortune teller being like in Harry Potter were washed down the drain. In the shop there was an older Korean lady ready to tell our future. There were different kinds of styles of fortune telling such as palm reading, tarot cards or getting to know your upcoming year by date of birth. First I was curious about the palm reading but the lady said it is so broad and not that interesting so I changed to know how my upcoming year will be. 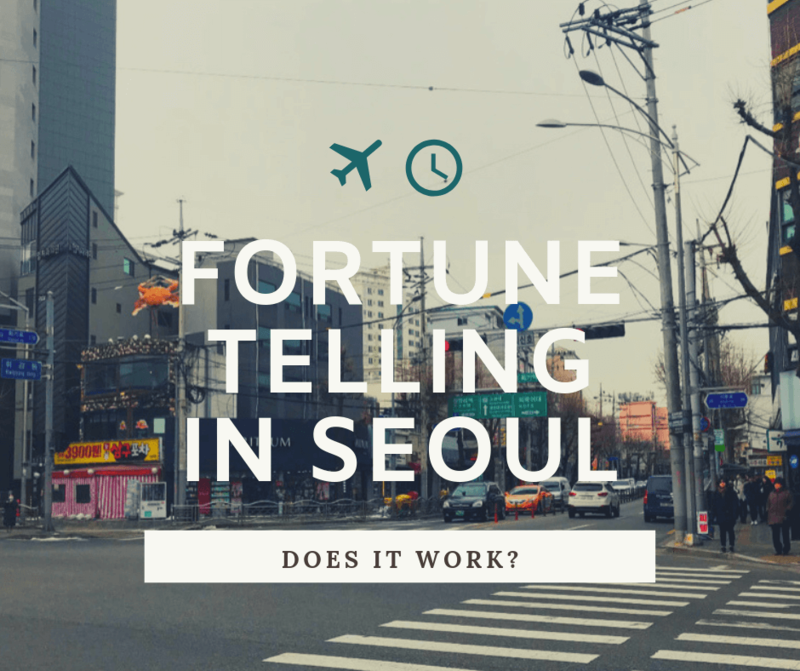 A famous fortune teller in Seoul was near KHU so we did not have to take the subway. We just crossed the road and walked a couple shops further. To be able to tell my future the fortune teller needed to know my date of birth as well as the exact time I was born. This she wrote down in her notebook. Then she took out another notebook with a spiral binder, which was full of Chinese characters. I could see it had been used very often. Then she started counting something that looked a bit like she was doing calculations. After some fortune telling/calculating she could start telling my future, in this case my 2018, which apparently would be pretty good! Oh, and if you go to a fortune teller in Seoul it is in Korean so my buddy came and translated for us (so nice!). We all got our fortune told by our date and time of birth and time and Mary also tried the tarot cards. 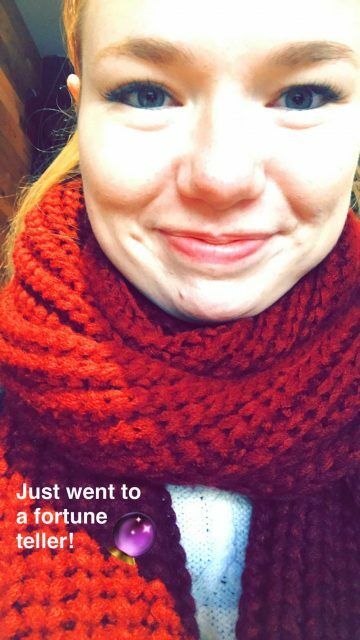 I would travel a lot during 2018 (yay!) and would enjoy going from one place to another. Was the fortune right? Yes! Travelled to Tokyo, around in Finland, Rome, Pisa and Nice not to forget my move to Sweden. I will get rich. First I would work with something that has to do with money, such as an accountant or working in finance (I was very curious how I would end up in this job). Then I would stop working at a company and start my own business. As it is my own business it would be more sales oriented. More work would probably happen in June. Even though I would be earning a lot of money, I would be bad at studying. But languages would be my strong suit and maybe learn a new one too. So 2018 would be very busy for me. Was the fortune right? No. I work in marketing, have not started my own business and graduated with my Masters in business. 2018 has been busy but also had a whole summer off so not too busy and have not learned a new language in 2018. I will feel good, have good self-esteem and self-love. I will not get angry often but when I do it is like a bomb. However I should take care of my health and think of my liver. I will eat very good food next year. But July and October will be bad months for my health. I will have many people around me all the time and meet many new friends. I will choose someone out of the crowd that I will get to know better. However, I should be aware of what other people are saying to me and about me behind my back. And I should focus on being kind. Was the fortune right? Kind of. 2018 has been a year when I have thought about self-love and wellbeing a lot, so it has been on my mind. I would like to say that I have been in good health and ate quite good food yes (maybe too much pizza and pasta in Italy too…). It has been a social year but still with time for myself. As for picking someone out from the crowd? That could count as my boyfriend whom I started daiting during the spring. I will find a boyfriend. Best months for this was already this December and continue to January. He will be calm, understanding and down to earth, which is what I need according to the fortune teller as I am very independent and outgoing. He will also be rich, and that is why I choose him. “Will I be very in love with him”, I asked. The answer was that for this boyfriend I think smart rather than with my heart. As I will meet many new people it will most probably be someone I do not know yet. Was the fortune right? Kind of. I did get a boyfriend who is down to earth. Is he rich, did anything happen during Decemer-January and do I think more with my brain than my heart? No. To sum up, my 2018 was predicted to be pretty good according to the fortune teller. I would get rich, find a boyfriend, travel, start my own business and have a lot of friends (many new friends too!). The bad side is that my health will be a problem and that I need to think of other people and what they are saying about me. What about Mary’s and Seul Ki’s future? They had different things set for them in 2018. For example Seul Ki would be very busy and probably marry someone from another country (but maybe not yet in the upcoming year) and Mary would have a lot of competitors and be busy studying. Have you been to a fortune teller? Did you have a similar experience or a different one? Share your thoughts as a comment on this post – I am looking forward hearing your experiences as well!